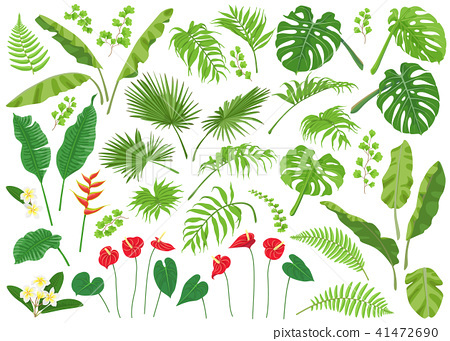 Vivid tropical flowers and green leaves isolated on white background. Tropic plant big set. Vector flat illustration.